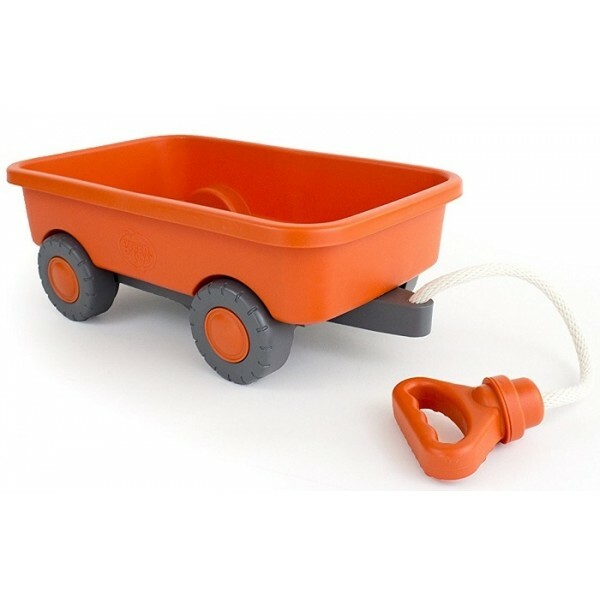 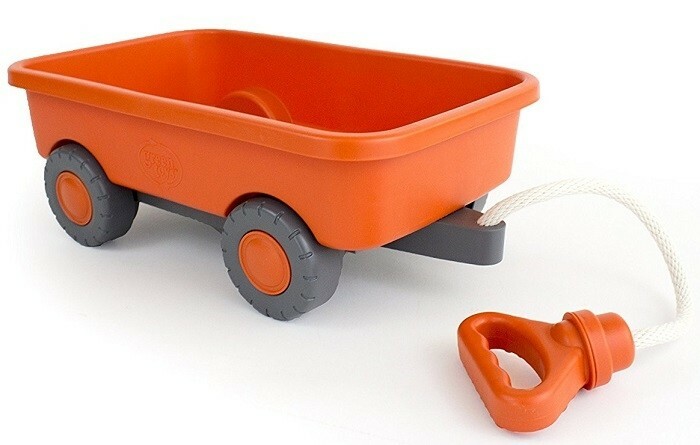 The Green Toys wagon is sturdy and durable, and features a 100% cotton rope handle that easily tucks inside for convenient, safe storage. 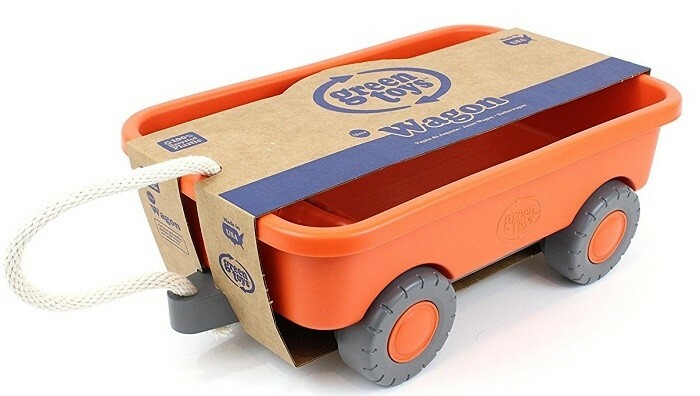 With chunky tires and a low-set bed, it is the perfect size for little ones to haul around their most prized possessions, both indoors and outside! 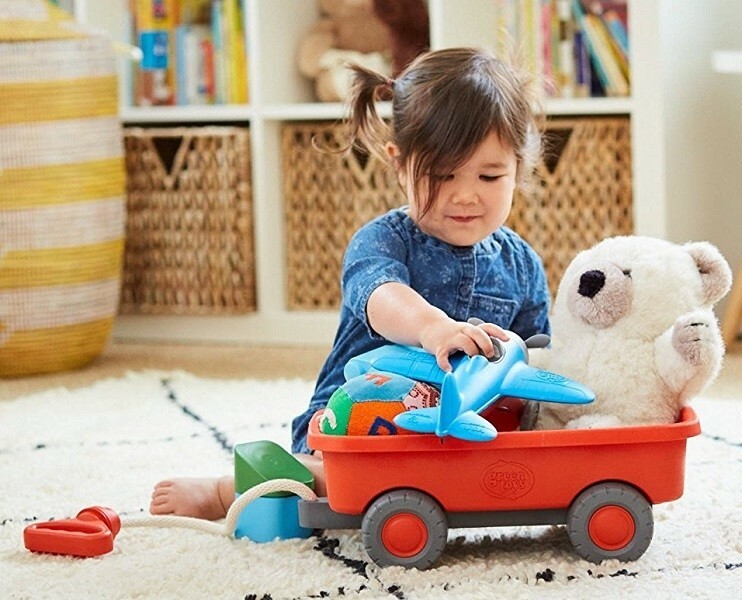 Green Toys products are made in the USA from 100% recycled plastic with no BPA, phthalates, or PVC, and are packaged with recycled and recyclable materials printed with soy inks.